'Primrose Gem' is one of the most attractive varieties of the popular low growing Santolina shrub. This small evergreen has ferny, needle-like foliage which is a bright green and very aromatic. 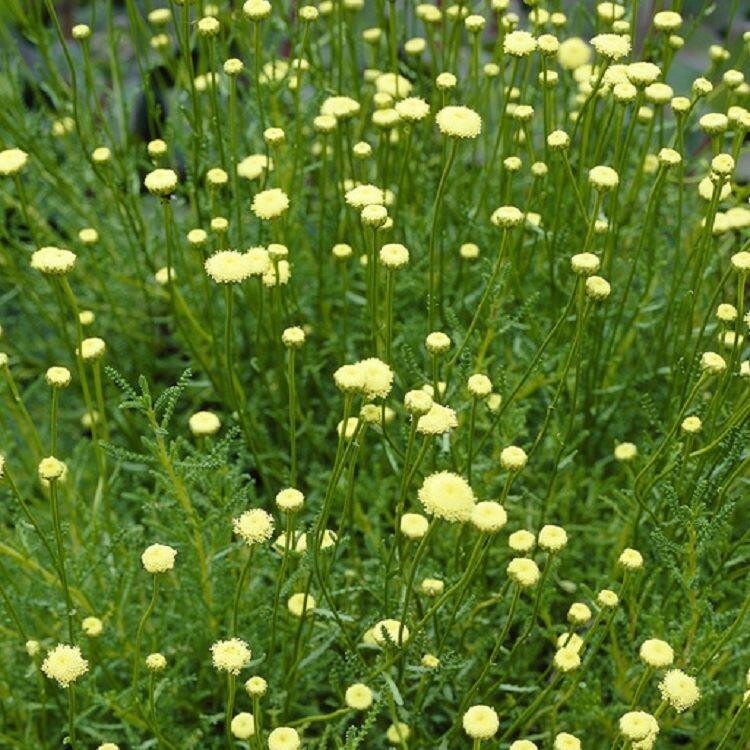 As Summer approaches, small, pale-yellow button flowers appear on tall stems above the foliage. 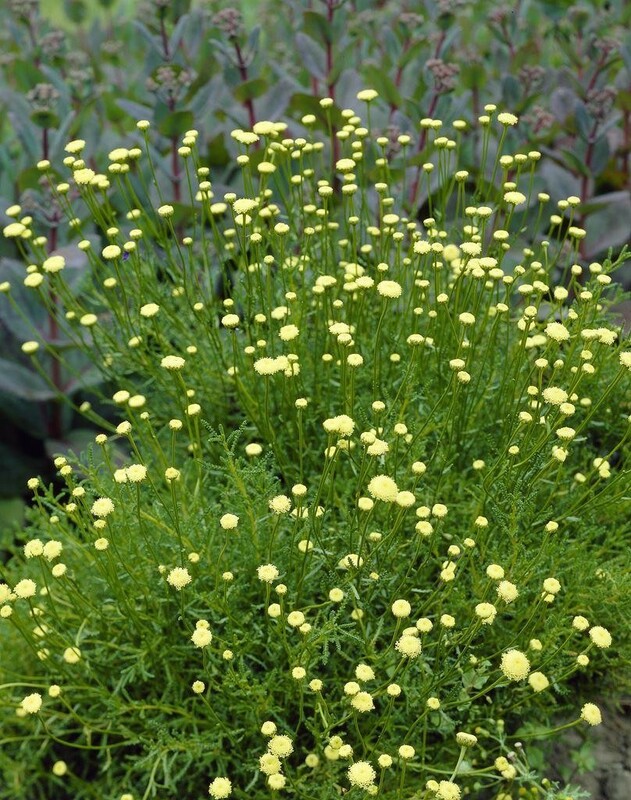 A hardy plant that will only reach 40cm high with a spread of around a metre at maturity, it looks great when used as low, informal hedging or ground cover for landscaping projects. Once established, becomes drought-tolerant so perfect for the dryer garden. Fantastic at providing much needed, evergreen structure amongst a bed or border of perennials. Strong, bushy plants of a good size, supplied in approx 1 Litre containers.